SATEL offers a number of accessories complementing the basic product range which significantly facilitate installation activities. The products included in the accessories group comprise ready-to-implement solutions for typical problems encountered during installation and commissioning of complex protection systems. The benefits resulting from employing tried-and-tested solutions include mostly time savings and professional results of works performed. A correctly designed and installed system in conjunction with aesthetic installation is a showpiece of a professional Installer. ZB-1modules protect lead-acid batteries against deep discharge. They must be used in all applications where such batteries are employed as an auxiliary power source and a given device is not equipped with such embedded protection. Due to the fact that such functionalities are built in all currently manufactured SATEL control panels and power supplies, it is not necessary to equip them with ZB-1. Thus ZB-1 modules are mostly used in older installations and simple third-party devices. 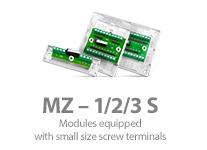 ZB-2 modules protect power supply outputs against overload, simultaneously informing about the overload status. They must be installed in all applications where the risk of damaging a device power supply output by an external short-circuit or overload is present. 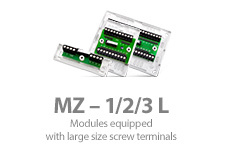 Additionally, ZB-2 modules make it possible to separate individual modules supplied from a common source, thanks to which, even in the event of a short-circuit in one device, other devices may operate correctly. 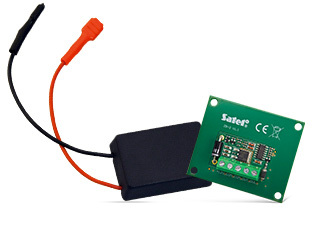 In order to facilitate programming SATEL devices by means of the software provided, it is necessary to use correct cables connecting control panels and modules with a computer. Selection of a correct cable depends on the type of a connected device. To this end, a product operating manual must be consulted as regards cables used with a given device. 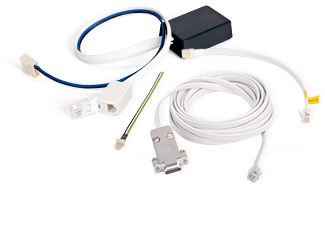 The cables available among accessories are used not only for connecting devices to a computer. SATEL offers a comprehensive range of wires connecting devices included in an installation, thanks to which additional functionalities may be ensured. 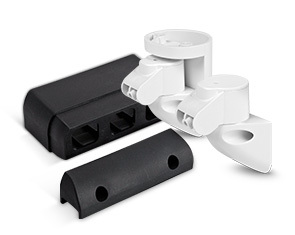 Taking advantage of tried-and-tested solutions saves precious installation time and ensures the required quality of connections. 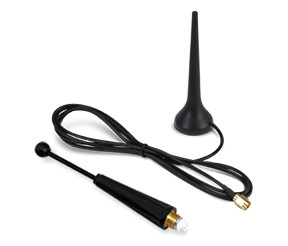 High quality of antennas is important from the point of view of wireless communication reliability. 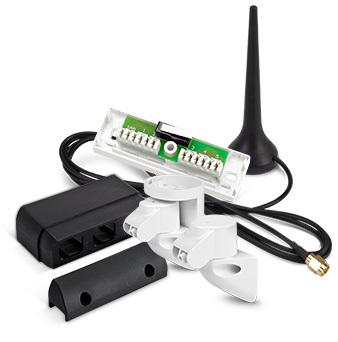 That is why, SATEL's offer includes antennas used in alarm devices including GSM/GPRS communicators and ABAX system devices. Relay modules may be used to control external devices requiring potential-free signals by means of "open collector" type outputs of control panel voltage outputs. Additionally, high current capacity of relay contacts makes it possible to control devices with relatively high current consumption. Galvanic separation of controlling and controlled circuits makes it possible to use such modules in the case of lack of supply voltage compatibility between a controlling and controlled device. 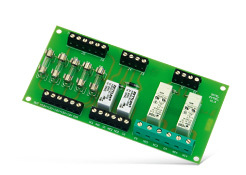 Using a ready relay module in an installation instead of separate relays makes installation activities easier, thanks to the possibility of connection by means of a terminal strip and using openings facilitating installation in an enclosure. While installing detectors their position frequently requires adjusting in order to ensure an optimum field of vision. In such cases, adjustable holders come in handy as they facilitate precise setting of a detector within two axes. Holders are also necessary to fix motion detectors on ceilings when standard wall installation is not possible. As far as ACTIVA infrared barriers are concerned, installation accessories ensure their correct fixing in locations where the beam lines must be set in parallel to the installation plane. Additionally, in such installations, distancing modules aesthetically and permanently solve any problems resulting from surface irregularities or small obstacles.